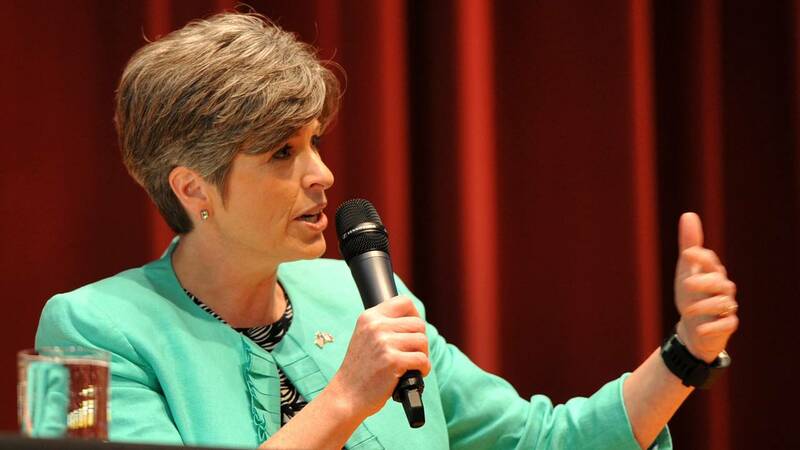 WASHINGTON (CNN) - Republican Sen. Joni Ernst of Iowa is suggesting she's not a fan of the expedited process President Donald Trump is deploying to impose steel and aluminum tariffs, adding to the growing tide of Republicans in Congress opposing the White House policy. "Just because you're slapping tariffs on steel doesn't mean that there aren't going to be repercussions in other areas," the Iowa senator told the "Hugh Hewitt Radio Show." "We export a lot of our soy beans to China, and we know that China is a bad actor. But there is a delicate balance out there, and we need to have thorough negotiations," she continued. "We haven't gone through that process." This week Ernst spearheaded two letters to the President in opposition of the tariffs -- one from Iowa Republicans in Congress and another Republicans in the Senate. The Trump administration has said it plans to impose a 25% tariff on steel imports and a 10% tariff on aluminum imports. Administration officials have said they plan to finalize the plan this week or next. Trump tweeted about an event Thursday afternoon related to his planned tariffs, though hours before that meeting, it wasn't yet clear publicly what Trump was prepared to sign -- if anything -- during the afternoon confab. Other influential Republicans in the Capitol, including Senate Majority Leader Mitch McConnell and House Speaker Paul Ryan, have denounced the plan. Ryan urged the President to "take a more surgical approach" than imposing the tariffs on all countries, and McConnell warned that the tariffs "could sort of metastasize into a larger trade war." This post has been updated to include additional information about Ernst's stance on tariffs.